The decision comes in response to criticism that the statue gives the misperception that the city is contaminated. FUKUSHIMA, Japan – Fukushima Mayor Hiroshi Kohata has announced the city will promptly remove from a municipal facility a controversial statue of a child wearing what looks like a nuclear radiation suit, in response to public criticism that the statue gives the misperception that the city is contaminated. At a press conference held Tuesday, the mayor also said, “I sincerely apologize to people who have been saddened or discomforted” by the statue. 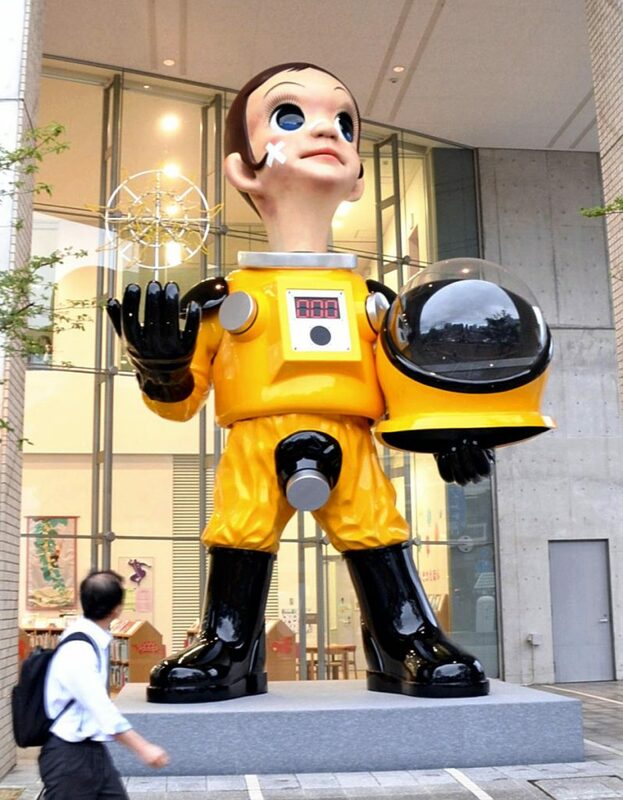 The statue was installed in front of the Com-Com Children’s Creative Learning Center by the Fukushima city government. It was unveiled less than a month ago. In explaining why the city decided to remove the statue, the mayor said, “We’ve judged that it is too difficult to continue to display such a controversial work as a symbol of the desire for reconstruction” from the damage caused by the 2011 Great East Japan Earthquake and nuclear disaster.